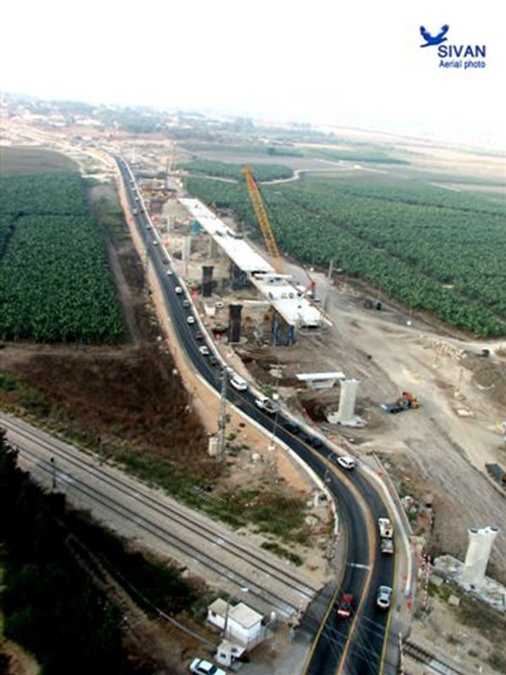 The Benyamina Bridges are two 417 m, 8-span, precast segmental box girder bridge structures spanning a railway near Benyamina, Israel. 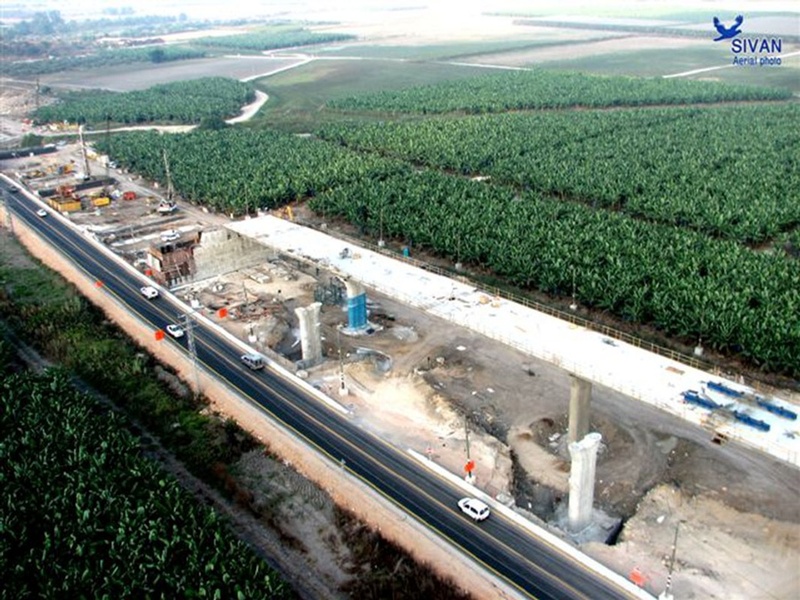 Both of the Benyamina Bridges, one westbound and the other eastbound, carry three lanes of traffic. The six lanes comprise more than 9,500 square meters of bridge deck. Individual span lengths range from 39 meters to 66 meters. The design tender for the bridges called for a precast segmental concept erected in balanced cantilever with a launching gantry. 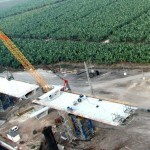 Danya Cebus successfully bid an alternative method based on its recent experience working with FINLEY on the Section 18 and Road 431 bridges in the country. 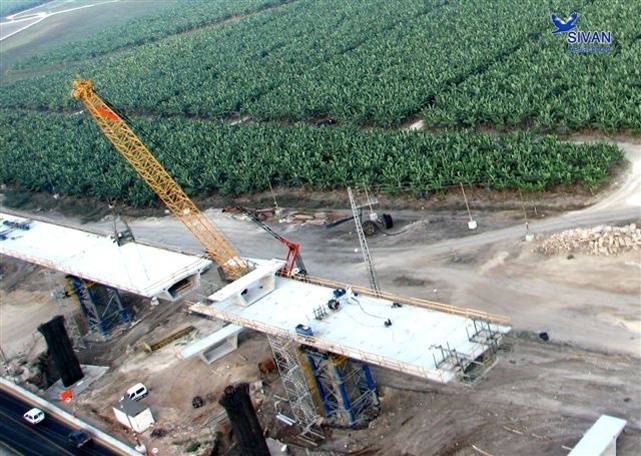 Each bridge was constructed using the balanced cantilever method with existing Danya Cebus equipment and forms, including ground-based cranes and falsework support systems. FINLEY offered an innovative design detail of pre-tied, welded wire cages for segment reinforcement. 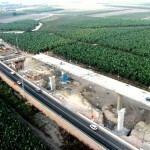 These bridges mark the third use of external tendons on a bridge project in Israel. 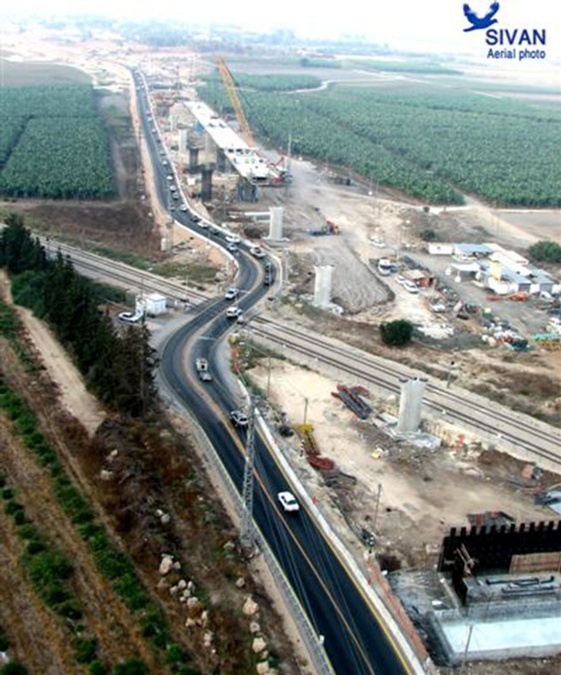 FINLEY introduced this post-tensioning method with Danya Cebus to Israel on four Road 431 bridges in 2007. As with the Road 431 project, FINLEY and Danya Cebus proposed the use of external tendons to allow for simplified segment precasting, reduction in segment crosssectional area & foundation loads, fewer tendon stressing operations, and a reduced design schedule. The project was not without challenges, specifically considering rigorous requirements for working over and around the railroad, an aggressive timeline, and strict safety requirements. The scheme, equipment, and experienced personnel were able to overcome the challenges in a manner that gave the owner a great deal of confidence. 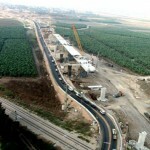 The team was able to illustrate the efficiency and innovation it brought to the country on the Section 18 and Road 431 projects, then offer refinement of those techniques on the Benyamina Bridges from its experience with the 12 previous precast segmental bridges in Israel.